Good morning/day everyone. I am up with a Christmas card. I had used digi images here, I won these last year or so, and though of putting to use. I printed these on a water color paper, and colored using zig markers, and then fussy cut to add to the card. 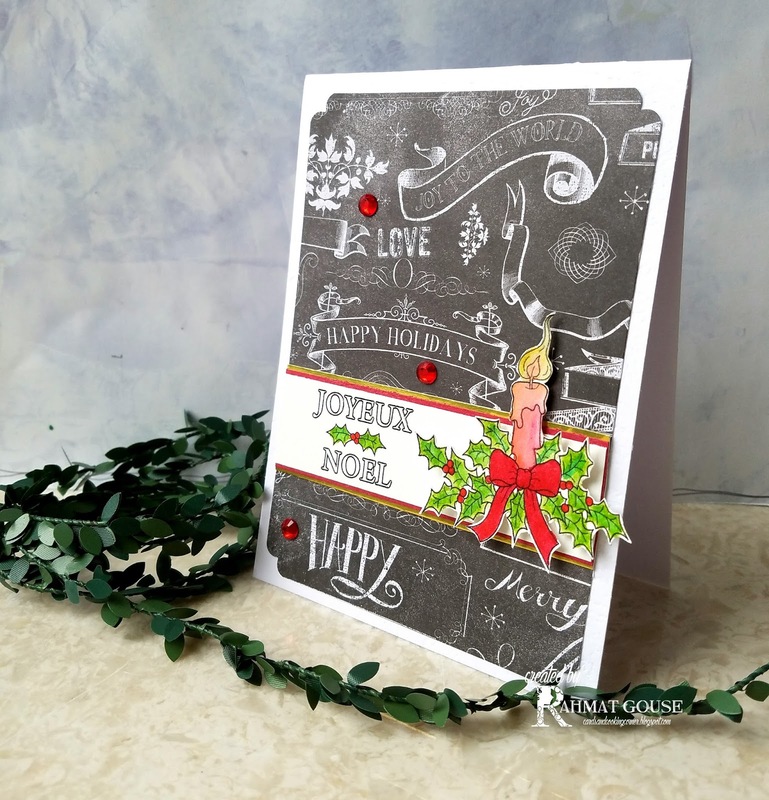 The background is a Christmas pattern Paper, I love the chalkboard effect on the pattern patter, it makes a cool background, with all the Christmas greetings. The sentiment is also part of the digi, and I simply lined it up with a red and gold card stock, and I added a few big red rhine stones, punched the corners to finish off. 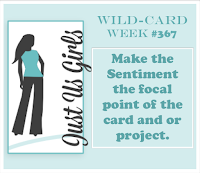 My card is full of sentiments in focus. Absolutely gorgeous! I love that muted chalkboard background, looks fantastic with the red and gold accents. Beautiful coloring, too. Thanks for playing with us at JUGS! Beautiful mix and I especially love the background paper! Beautiful card and a great take on the sketch. Thank you so much for entering our ATG challenge at Through The Craft Room Door this week. Looking forward to see you again next challenge. What a beautifil card. Love the chalkboard background and candle is pretty. Thank You for playing along with ATSM - Holiday Challenge! Great card - love the chalkboard background. Thanks so much for joining us at the 12 Months of Christmas Challenge.